A party after your reception? Sounds shocking to some. 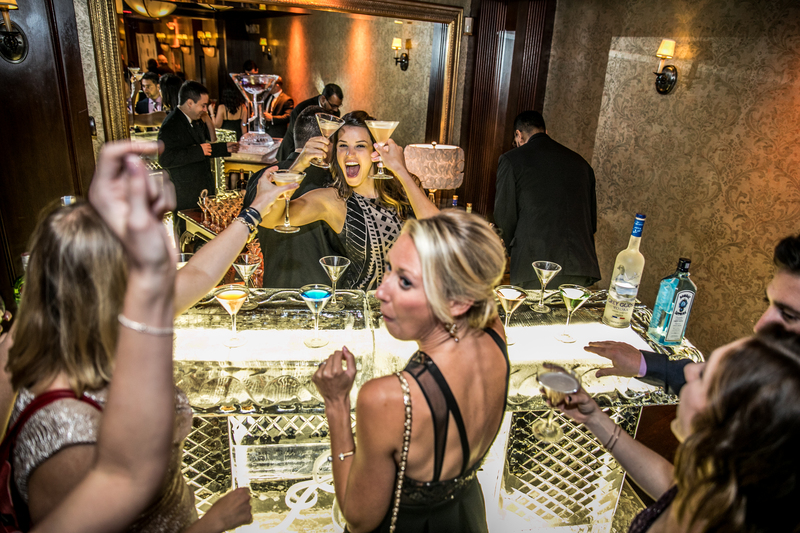 This latest trend of after reception parties comes with the rise of having a global network of friends and family. Those who are traveling from out of town to come to your wedding wouldn’t want the party to end! An after reception party also gives brides and grooms the chance to actually party. A more low-key setting allows for a more eased time to be had. Most of the bride and groom’s time spent in a reception is spent greeting and talking to all guests rather than relaxing, having fun, and eating. An after reception party doesn’t need to contain everyone from the wedding. A few close friends from both the bride and groom can meet up in a less formal place, like a close-by bar, or a hotel pool. Not much planning needs to be involved, and a more mellow crowd is easier to manage. For food and drinks? Reuse extra to-go food you already paid for from your reception, or bring some uneaten pieces of your wedding cake. As for drinks, if you end up at a bar, no problem! Drinks on your friends, you’ve spent enough wedding. Something that would help when anticipating an after-reception party would be to get an idea of how many people are coming. You can limit this by making an informal invite. Think group text or word of mouth. Your wedding reception hall might also be able to plan after parties. At the Crystal Plaza, after parties come second nature to us. We’ve done everything from food trucks to board game nights. From wild after parties to by-the-fire-place coziness. Your after party doesn’t have to be a calm, low-key event. You can plan something as equally intricate, detailed, and personalized as your reception. One thing that remains a constant between a low and high maintenance party of any capacity is the invite list. Even if you are planning a well organized, high-end after party, the invite list needs to be well thought out. An elderly relative might not be the best person to invite for a party going into the early hours of the morning. Of course, it’s up to the bride and groom if an after party would even occur. With all the planning, scrambling, and perfection that goes into planning a wedding, adding on a second party is, to some effect, exhausting. If you want to cut the after-party and just spend time with your significant other, who can blame you. Don’t forget to like and follow us on Facebook, Twitter, and Instagram for more wedding ideas and inspiration. Header photo courtesy of Gary Flom.